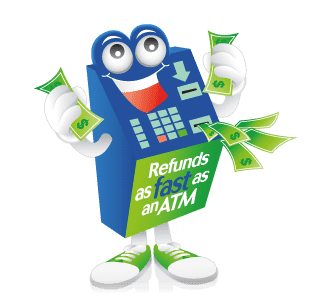 Australia’s largest provider of Instant Tax Refunds. Tax Today operates across Brisbane, the Gold Coast, Sydney, the Central Coast and Melbourne and offer a wide range of services. Including online tax returns. We specialise in providing our clients with a Tax Refund on the Spot. That’s right, at Tax Today we can give you your tax refund today! That’s cash in your bank account within the hour! John Back and Andrew Tan have been providing Instant Tax Refunds since 1998. They have prided themselves on providing a fast, easy and simple experience for their clients. Starting in a small single office in Parramatta, they now provide this same experience to the rest of Australia. You can do it online or in our office. With offices in Brisbane, the Gold Coast, the NSW Central Coast, Sydney metro area, and Melbourne and with the choice of online tax returns, we have become Australia’s largest Tax Agents offering a Tax Refund on the Spot. You can get your Tax return done Today and at Tax Today we can give you a tax refund Today! Now that’s an Express Tax Refund. Why not download our free TaxToday APP from the app store or google play. Simply call 1300-829-863 to be connected to your local branch or click on our locations page.